The project’s primary purpose is to maximize the safety and mobility for all traffic along the I-435 corridor from the Three Trails Crossing to the State Line, as well as minimize future maintenance needs. This more-than-three-mile project replaces the bridges at Wornall and Holmes, rehabilitates the bridges at 104thStreet and the Blue River, and upgrades the pavement on I-435 which includes adding another lane. The new configuration overall will be two lanes on the inside and two lanes on the outside with the ongoing work occurring in the center. Traffic from I-470 westbound and I-49 northbound will have access to the 103rd Street, Holmes and Wornall exits through the two outside lanes only, so merge into the outside lanes immediately after the I-470 ramp bridge comes to an end. Construction on additional lanes and bridge improvements began in Spring 2018. This is part of Phase I of project construction. Crews began on Phase 1A plans in May 2018. This phase is scheduled to last through the end of fall. The I-435 corridor was constructed in 1966 as a six-lane freeway and an additional lane was added in phases from 1983 to 1994. This segment of freeway provides an important link between residents and jobs on the south side of the metropolitan area. 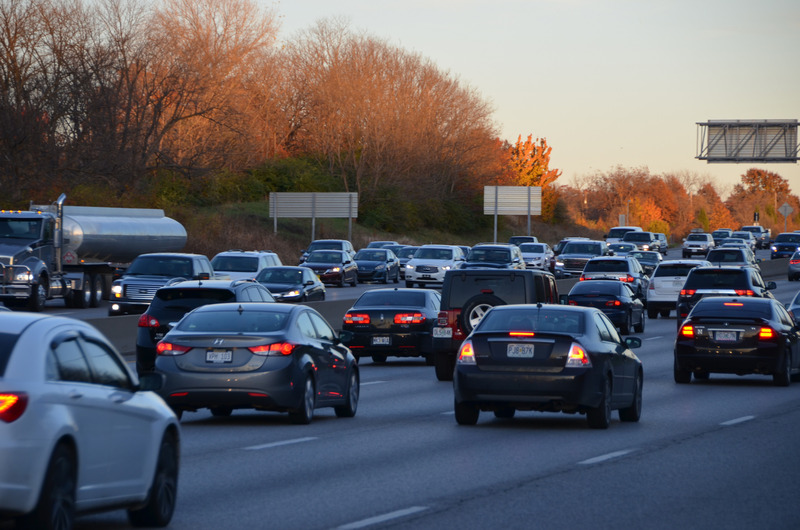 I-435 has become one the highest traffic volume of any MoDOT facility in Kansas City and one of the highest in traffic volume in the metropolitan area. Additional improvements include removing the loop ramps at the Holmes Road Interchange, 12 foot inside shoulders along I-435, increased vertical clearance under the Wornall road bridge, new taller and safer concrete barrier wall and longer merge lanes in critical locations. This project will finish in Spring, 2020.